The stump microphones have captured some interesting conversations between the Indian and Australian players during the ongoing Test series. According to media reports, the ACA has already aired its reservations on stump microphones to broadcasters. The ACA said it's not against the use of stump mics but wants clarity over the "rules of engagement". "I wouldn't say we're not happy. (Players are) aware things can potentially unintentionally be picked up - whether it's accidental swearing or things like that," Nicholson was quoted as saying by Melbourne-based radio station 'SEN'. "We're conscious we don't necessarily want players to be slapped with code-of-conduct fines when they really are working as hard as they can to bring that element of the game through that we've never had. "It's more caution than negativity but very much wanting to embrace it." 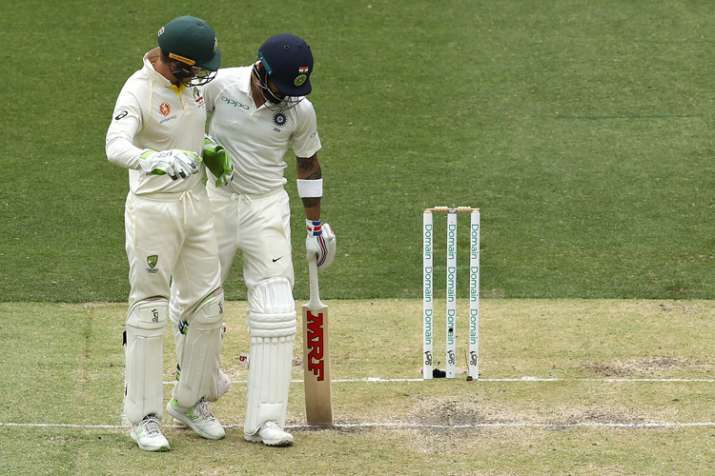 The stump microphones have captured some interesting conversations between the Indian and Australian players during the ongoing Test series, the most notable among them being the fiery exchange between visiting captain Virat Kohli and his counterpart Tim Paine during the second Test in Perth.